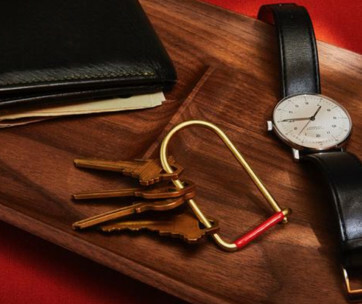 If you’re already tired of your loud, clanging, jingly, and bulky keychain, you’re definitely not alone. 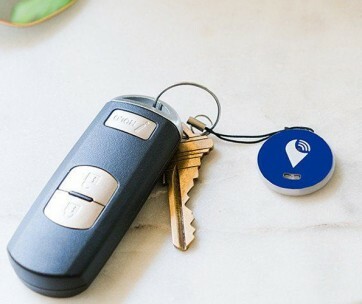 There are many others like you who are simply tired of having to carry bulky keychains that produce annoying noise every time you move, not to mention the bulge they create in your pocket. 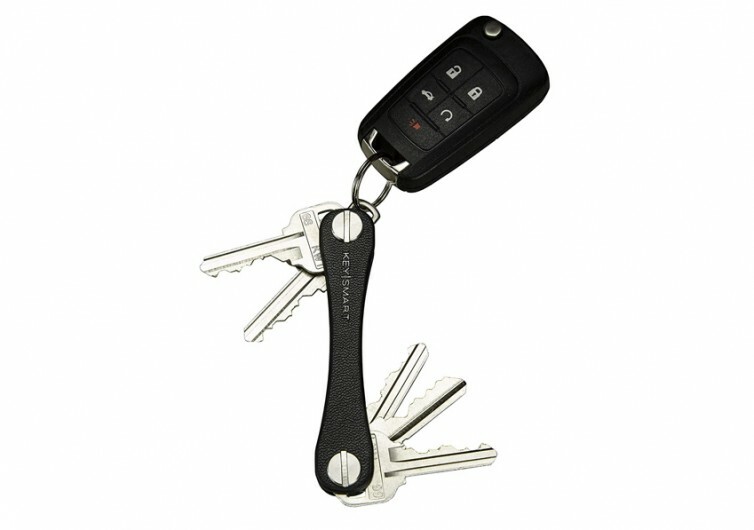 Such nuisances are now things of the past with the KeySmart keychain organizer. 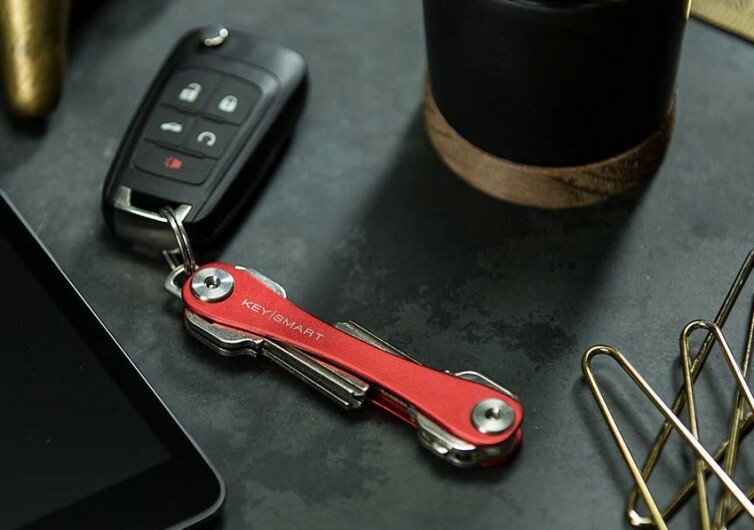 Drawing its inspiration from the Swiss Army knife, the KeySmart allows you to collect your keys and organize them within the device so you’ll have a folding, fanning-out contraption for your set of keys. It’s an ingenious solution that anyone can easily appreciate. Since the keys are secured tight sandwiched between two aircraft-grade aluminum plates, you can easily organize up to 10 keys in the system. 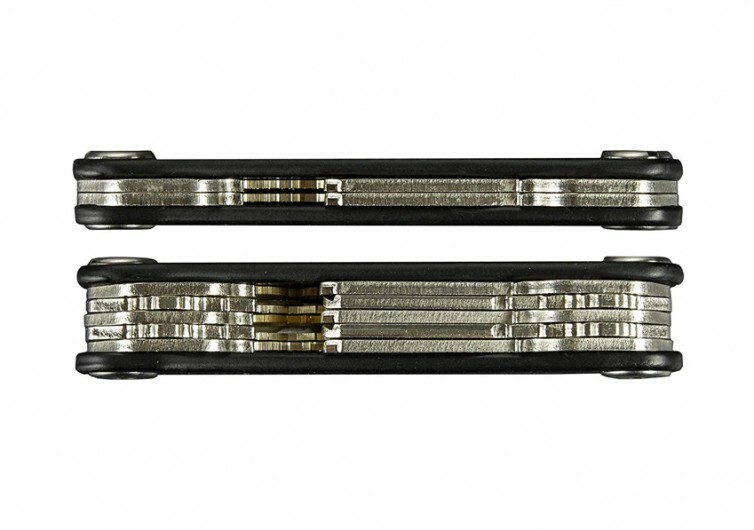 The hardware securing the keys and the plates are not to be messed with either as it is made of durable and strong stainless steel. The plates are wrapped with finely-curated leather to give the system a classier look. 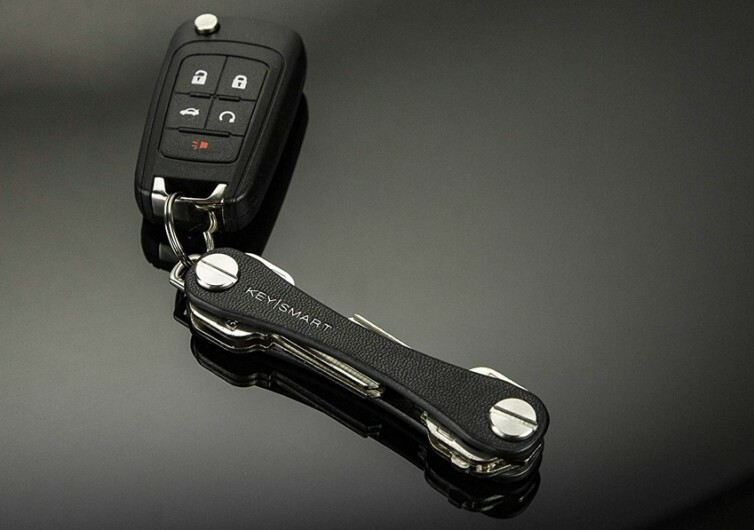 The KeySmart requires no tools for disassembly and reassembly. 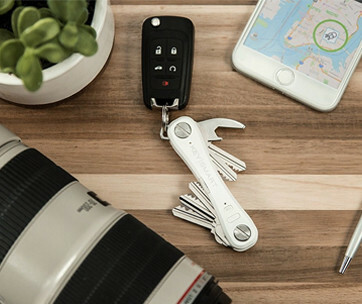 The best part is that it’s not only keys that you can put into the KeySmart. You can also fit in a bottle opener, nano torchlight, and even a USB flash drive into the system. 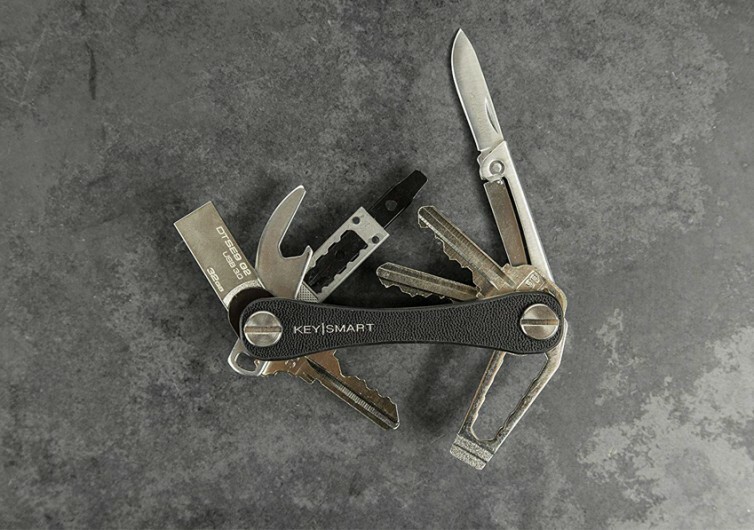 Get a pocket folding knife or any other accessory from KeySmart and you can instantly turn this gadget into your personalized Swiss Army multi-tool. Each KeySmart comes packaged with a loop piece so you can easily attach the system to your car remote or other unusually-sized keys. There’s no point putting up with a bulky keychain or even keys that inadvertently hurt your legs every time you take a seat. 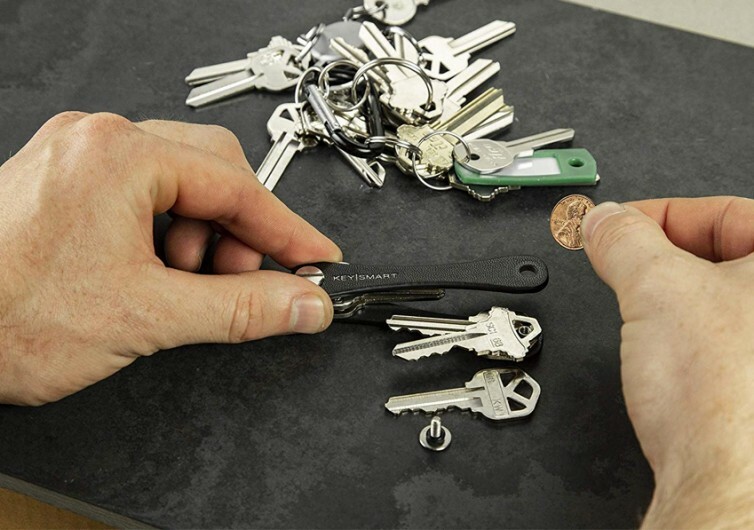 KeySmart not only organizes your keys but also gives you the ability to create your very own Swiss Army pocket multitool.